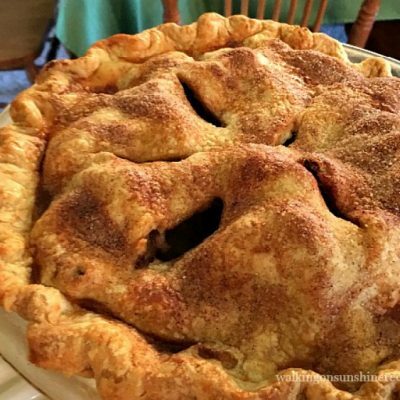 How to Make the Most Delicious Homemade Apple Pie Recipe with tips on how to get the perfect looking crust and choosing the best tasting apples for all your Fall entertaining. 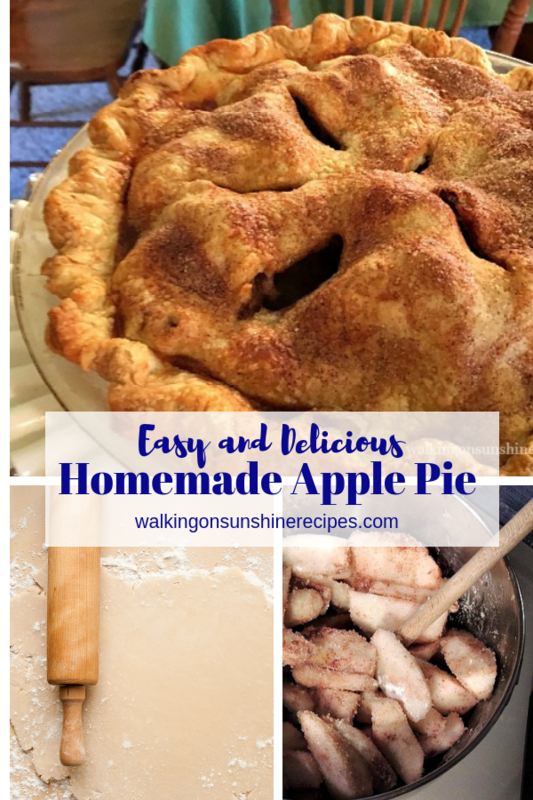 Today I’m sharing with you a recipe for the Most Delicious Homemade Apple Pie that you will love! It’s perfect for Thanksgiving meal or really for any time of the year. It’s that good! What is your favorite pie for Thanksgiving? For years I’ve been all about pumpkin, pumpkin, pumpkin and then I discovered how really delicious apple pie can be. I really like apple pie warm from the oven with just a little fresh whipped cream. Okay, a lot of fresh whipped cream! 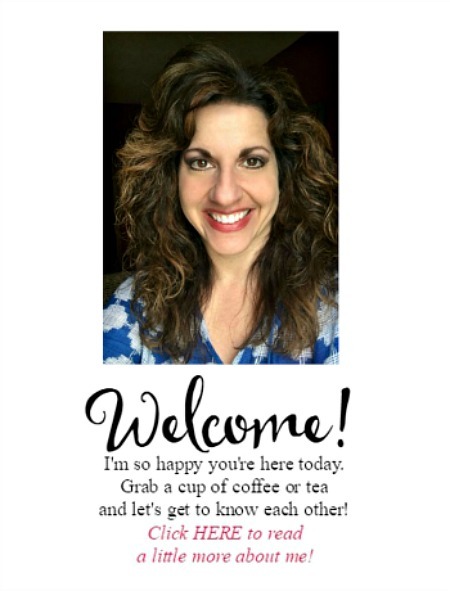 Oh, and before we get started, I have a confession to make to you. The apple pie in the photo above is one my sister made the last time our family got together a few weeks ago. 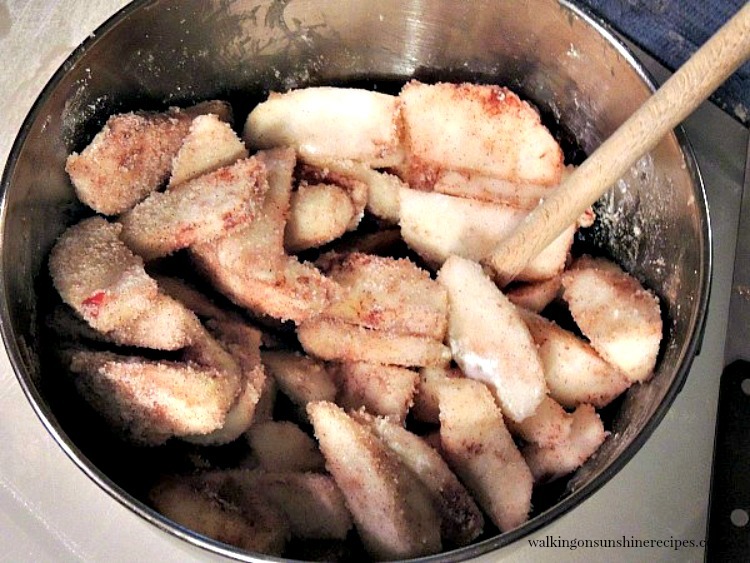 Apples sliced and mixed with the sugar and spices. I love to use Cortland apples for all my baking. Make sure you check out the list below for a few other favorite apples that work great for homemade apple pie. Roll out the pie crust. This is just one of the two you need for this apple pie. 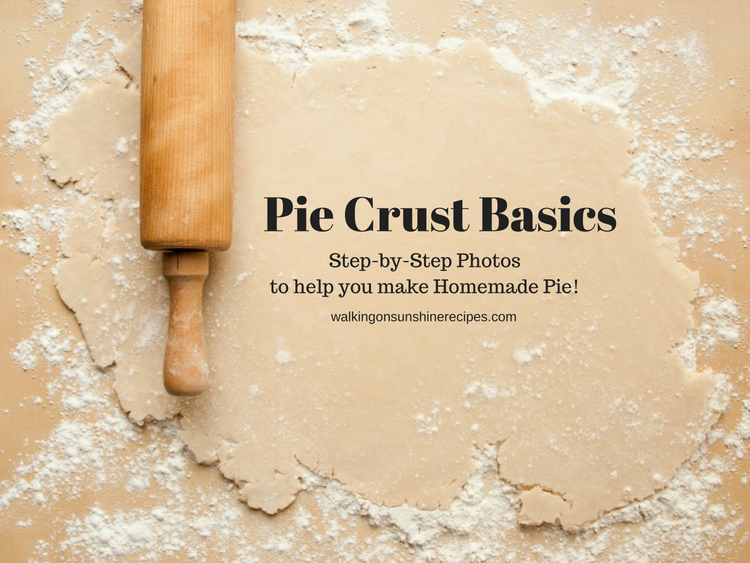 If you need a good tutorial on how to make perfect pie crust, check out my post on Pie Crust Basics. Add the apples to the pie crust that is already fitted in the bottom of the pie plate. Add the top pie crust dough, crimp the edges and brush with the egg wash before baking. Bake for 40 minutes or until the apples are tender and the crust is golden brown. You can cover the edge of the crust with 2- to 3-inch wide strips of foil after the first 15 to 20 minutes of baking to prevent excessive browning. Cool on cooling rack before serving. For a shiny light brown crust: brush with an egg white that has been lightly beaten with a teaspoon of water. For a glossy golden pie crust: brush the crust with an egg yolk and a teaspoon of water. For a crisp brown crust: brush the pie crust just with water. For a little sparkle: sprinkle sugar on top as well. Cortland – are my personal favorite for baking. Granny Smith – a lot of people LOVE Granny Smith for baking, but I still find the taste a bit too tart. But that’s just my preference. My husband loves Granny Smith apples. 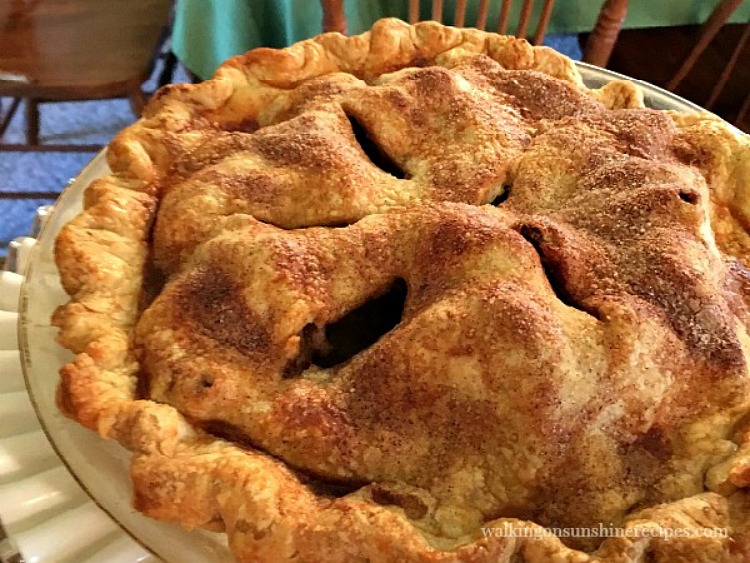 The best apple pie recipe! Line a 9-in. pie plate with bottom crust; trim crust even with edge. Set aside while you prepare the filling. Add the apples and the remaining ingredients to a bowl and mix to combine. Add the apple mixture into the crust-lined pie plate. Roll out the second pie crust and place on top of the apple mixture. Press the edges of both pie crust together to seal and crimp the edges. Cut slits in several places in top crust. Brush the top of the pie with an egg wash and sprinkle with additional sugar. 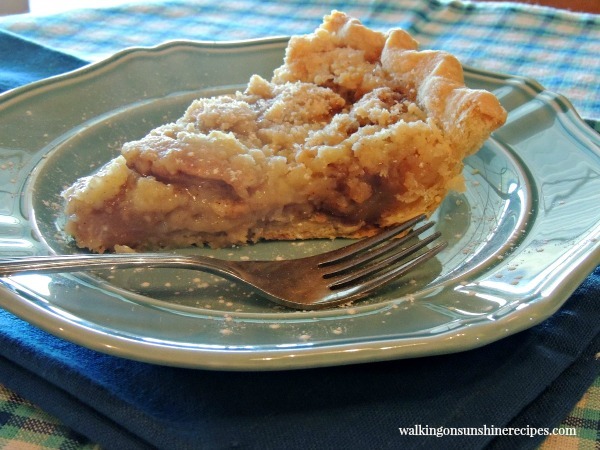 If you like apple pie, you’re going to love my recipe for Apple Crumb Pie. 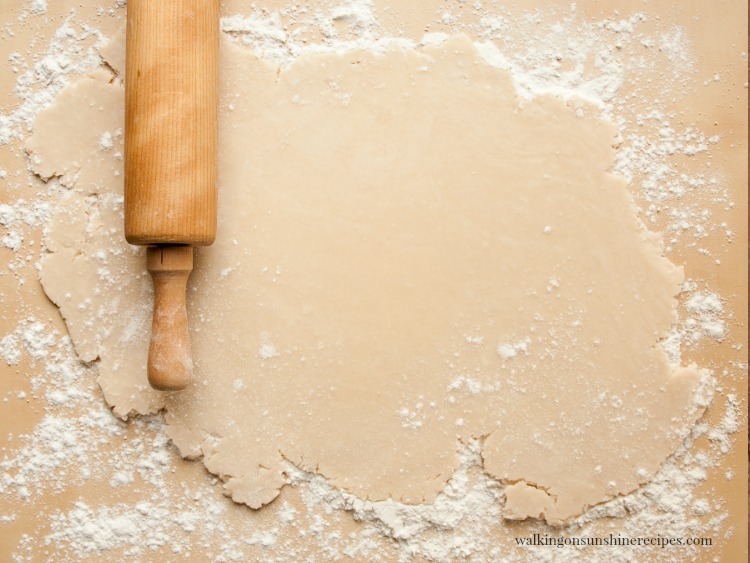 Everything you need to know about making perfect pie crust! This looks delicious and I can't wait to try it. Thanks for sharing.